NES EarthBound Beginnings (JPN) "warp glitch" in 25:41.67 by pirohiko. 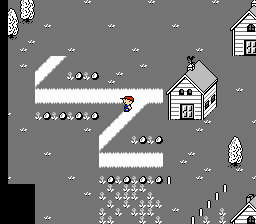 This is the JPN version of EarthBound Zero (also known as Mother (マザー) ). As the first version of the game, it has a number of useful glitches; this run abuses the way the game handles the "Bread crumbs" item to warp off the edge of reality and casually walk straight into the final boss's lair. We also have a more normal run of the localized version, which doesn't include this glitch.